This privacy notice explains how the Institute collects, uses and shares your personal data, and your rights in relation to the personal data we hold. This privacy notice concerns our processing of personal data of past, present and prospective students of the Institute. The Institute is the data controller for all personal data that it holds and processes and is subject to the Data Protection Acts 1998 and 2003 and to the General Data Protection Regulation (GDPR) from 25 May 2018. The Institute may obtain, hold and process the personal data of students including personal details, family and social circumstances, education and training records, employment information, financial details, and services provided. It may obtain, hold and process the sensitive personal data and special category data of students including racial or ethnic origin, and physical or mental health related information. Certain criminal history (The National Vetting Bureau (Children and Vulnerable Persons) Acts 2012 to 2016 provide a statutory basis for mandatory vetting of persons who wish to undertake a work placement and/or activities that bring them into contact with children and/or vulnerable adults. 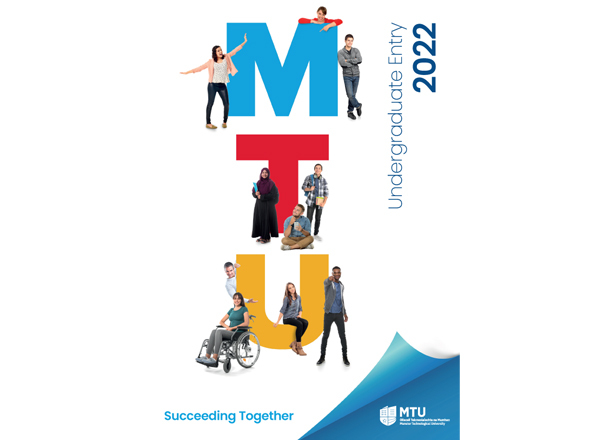 Some programmes at Institute of Technology Tralee (ITT) require students to undertake mandatory placements with external agencies, which will bring them into contact with children and/or vulnerable adults and in which they will assume positions of public trust. The Institute is committed to ensuring that candidates on relevant programmes are Garda vetted in line with Institute policy. Personal data and sensitive personal data/special category data held by the Institute relating to students is obtained directly from the student or applicant, or in some cases from a third party organisation involved in the services provided by the Institute that has obtained the information in the first instance (for example CAO and SOLAS). Directly from information you provide to us expressing an interest in becoming a student, and/or through the application or registration processes. Directly from the Central Applications Office (CAO) which processes applications for undergraduate courses in Irish Higher Education Institutions. Directly from SOLAS which manages the National Apprentice System. The Institute holds the personal data and sensitive personal data/special category data of its students in order to implement and manage all services and processes relating to students, including student recruitment, admission, registration, teaching and learning, examination, graduation and other services such as accommodation, student support and careers. Only information required for these purposes is obtained and processed, and without it the Institute may not be able to provide its services. Information is passed between various sections of the Institute for operational reasons as is necessary and proportionate for intended purposes. The processing of personal data is necessary for the performance of the contract under which we provide services to you or to progress expressions of interest and enquiries. This is not an exhaustive list and any other disclosures to third parties not listed here are made only where there is legitimate reason to do so and in accordance with the law. The right to data portability – students have the right to request provision of some elements of their information (for example academic progress details) in digital form in order to provide it to other organisations, employers etc. Where the processing of personal data or sensitive personal data/special category data is based on the consent of the student, they have the right to withdraw their consent at any time by contacting the department or service who obtained that consent or the Institute’s Data Protection Officer. If a student is unhappy with the Institute’s handling of their personal data, or believes that the requirements of the Data Protection Acts or GDPR may not be fully complied with, they should contact the Institute’s Data Protection Officer in the first instance. The Institute’s formal complaint procedure can be invoked if appropriate, and the student also have the right to submit a complaint to the Data Protection Commissioner. We will hold your data indefinitely in support of your lifelong relationship with the Institute, or until you ask us to do otherwise. If you exercise your right to erasure, we will retain a core set of personal data which, for graduates, will include: name, programme/ module(s) studied, graduation details, date of birth and unique identification number so that we do not contact you inadvertently in future, and to maintain your education details for archive purposes. We may also need to retain some financial records about you for statutory purposes. We will always respect a request by you to stop contact by any or all methods of communication, or for any specific purpose. We share student record and survey data that we collect from you with the Higher Education Authority (HEA) so they can perform their statutory functions under the Higher Education Authority Act, 1971. The AMS application system is maintained on behalf of the HEA which includes update on application status, registration, 1st registration, re registration, student outcome, and Employment status. The HEA uses this data for fact-based statistical analysis to help understand the real needs that higher education should meet, to promote equality of opportunity in higher education and to assist the government in developing future higher education policies and strategies and to identify areas for investment. The HEA does this by linking data from the Student Records System, information from the Equal Access Survey and information from the Graduate Outcomes Survey through student ID number and/or PPSN for more accurate statistical analysis to help improve education services and policies. The HEA use student records to produce anonymised aggregate data in annual statistical publications. The HEA will provide your student record to SUSI, an agent of the Department of Education and Skills. This record will include data on any previous enrolment in higher education in the Republic of Ireland. The HEA record is provided to SUSI for the purposes of verifying data supplied as part of grant applications, verifying that a student is enrolled or registered in accordance with the rules of an approved institution, assisting in the processing of applications for grants and determining an applicant’s eligibility for grant support under the education progression requirements of the Student Grant Scheme and the Student Support Act 2011. The HEA record may also be used by the Central Statistics Office in order to carry out their statutory functions of measuring population levels and monitoring public expenditure. HEA student microdata is provided to the Department of Education and Skills to allow for research and analysis using this data within the Department, for instance for transition rate analysis and third level demand projections. HEA student data (PPSN, name, address, date of birth) may be sent to the Department of Social Protection Client Identity Services to verify PPSN. HEA administrative graduate data is linked via PPSN to Revenue administrative employment data in the Central Statistics Office to analyse graduate outcomes in terms of sector and salary etc. Anonymised aggregate (non-personal) data to third parties. Individuals cannot be identified from this anonymised aggregate data.